The interaction of neural populations within the neocortex is mainly characterized by which layer they located in. For instance: thalamocortical input projects to layer 4 cells, which in turn project to layer 2/3 cell. Layer 2/3 cells then forward signals onto layer 5 cells . 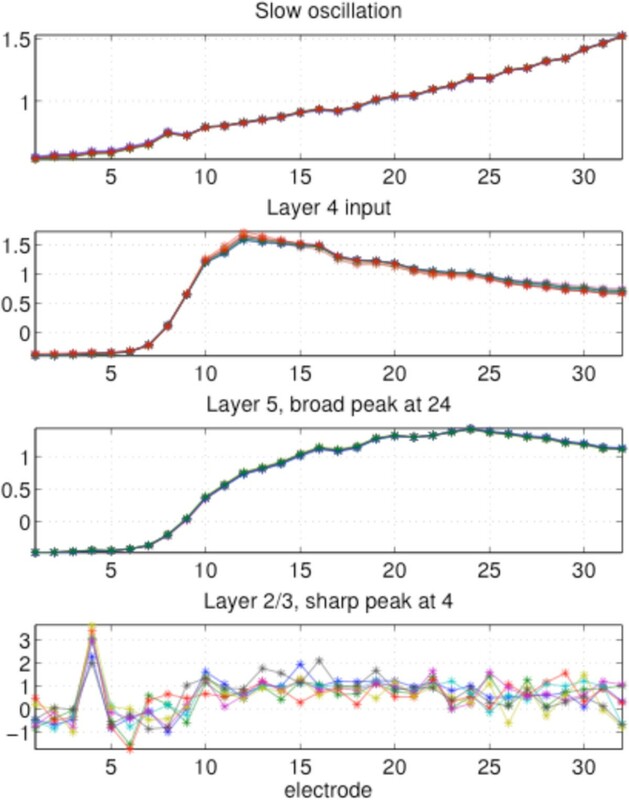 However, it is difficult to see interactions within layers, or even which neural populations in one layer may be interacting with other layers. Very fast oscillations (VFOs, $>$80 Hz) have been associated with neocortical processing [1, 3], and have distinct roles in different cortical layers . Moreover, VFOs increase in temporal lobe epilepsy [2, 6], which is associated with trauma . In this study, we take a more detailed look at interlaminar interactions, VFOs, and the effects of trauma by applying independent component analysis (ICA) to recordings from rat auditory cortex.